It's hard to keep up with all the restaurant and bar openings, closings, chef swaps and revamps that happen every day in this city. What's worth spending your money on and what's all just hype? We're here to help you out with that. At the end of each month, we'll give a recap of the most exciting additions to enter L.A.'s dining and drinking scene, whether it's a new ice cream shop or a creative cocktail bar. Here are a few November openings that are worth a visit. The Edmon (Melrose): Nestled within the Hollywood Historic Hotel, The Edmon is an Art Deco lover’s dream, a bar that glows with backlit bottles of liquor and 1930s decor. A succinct cocktail menu beefs up classics (like a scotch fashioned) while presenting new creations, like the sherry-based Fall Bamboo with cognac, bitters and grenadine. To eat, an eclectic menu of bone broth and perogies exists—but the house burger is just as enticing. Ramen Room (Sherman Oaks): Valley dwellers, meet Ramen Room: a Japanese and Filipino hybrid that serves six different types of ramen (the spicy miso version is the winner) along with Filipino-inspired rice bowls and starters like lumpia—crispy fried spring rolls with shrimp and pork. Ramen Room’s décor is subdued and simple, but that just means they’ve put all their focus into making stellar dishes that’ll warm you up on a chilly winter night. Baohaus (Chinatown): Eddie Huang's NYC Baohaus has made its way to Far East Plaza, offering baos, bowls and taro fries to hungry Chinatown visitors (or those who want a momentary respite from the nearby line at Howlin' Ray's). Try the Birdhaus Bao, a definite standout made with fried chicken, crushed peanuts, Taiwanese red sugar and cilantro, or the Chairman Bao with pork belly. The taro fries are an unusual take on classic French fries, made with hand-cut taro and Haus spices. 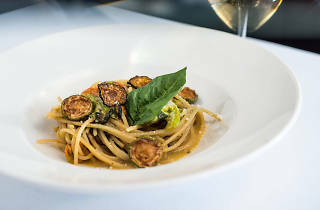 Terra Cotta (Koreatown): If you can't decide what type of fine-dining cuisine you'd like to enjoy, head to Terra Cotta. The menu is full of French, American, Italian and Asian-inspired dishes for the culinary adventurer in all of us (or for the groups that can't decide on where to eat). A good pre- or post-meal option for a show at the Wiltern, or just another night in K-town. Margo's (Santa Monica): Ox & Son has flipped into the California-driven Margo's, a charming eatery along Montana Avenue that's perfect for date night, celebrations and a cozy night out. Dig into chef Greg Daniels' lamb saddle with navy beans and maitake mushrooms, or a lemon-crusted halibut with blackened cauliflower. Stick around for dessert—the chocolate bar here is exceptional—and a fantastic cocktail or two (we recommend the seasonal Crane's Demise, made with rum, pumpkin, egg and nutmeg). E.A.K. Ramen (Melrose): E.A.K. Ramen joins a slew of other ramen shops that have opened in L.A. recently. The Melrose restaurant serves Iekei (pronounced E-A-K), made with thick noodles and a mixture of the Kyushu Tonkotsu broth from the West and the Tokyo Shoyu broth from the East. If you're not a fan of the soup dish, they have plenty of other options to choose from, like the fried rice or boiled gyoza. Tinfoil Liquor & Grocery (Highland Park): Tinfoil Liquor & Grocery is the latest establishment from Jeremy Fall, an ode to the neighborhood bodega with cold beer, top-notch liquor and hearty sandwiches. The front of the shop boasts booze and groceries, but if you're looking for something a little more substantial, utter the secret password and get buzzed in to the back deli, where you can find a variety of sandwiches like ham and brie, roasted eggplant and corned beef. Little Fatty & accomplice (Mar Vista): Chef David Kuo has flipped his Mar Vista restaurant Status Kuo into Little Fatty, going back to his roots with a menu that focuses on Taiwanese soul food. Dive into classics—beef noodle soup, Sunday Gravy and mapo tofu—along with reimagined staples (hello, General Tso cauliflower). Next door, Little Fatty’s sister bar, accomplice, offers food for take-out—plus a playful drink lineup of cocktails, punches, beer and wine. O+O Sicilian Kitchen & Bar (Santa Monica): Forget that it's a three-minute walk to the beach; reading the menu alone is enough to sell you on O+O. This Sicilian restaurant has enough pizza for every day of week, as well as classic raw and cooked dishes like meatballs with tomato sauce, ravioli alla norma and squid ink linguine. Nerano (Beverly Hills): Nerano arrives in Beverly Hills with the intent to whisk you away on a culinary, coastal adventure. 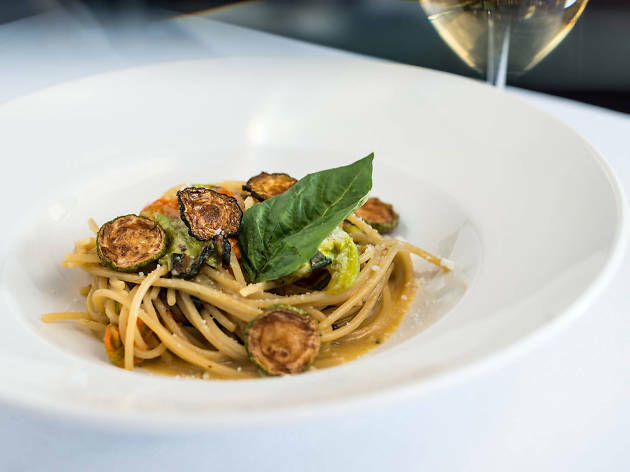 At this Italian eatery by the Toscana Restaurant Group, you'll find dishes inspired by the Amalfi Coast, like a spaghetti alla Nerano made with zucchini, squash blossoms, provolone and basil. There's also plenty of fish, Toscana-style pizza, a gorgeous upstairs cocktail bar and more than 200 wines to choose from. Did you miss our favorite openings from October? Check out the list from last month.